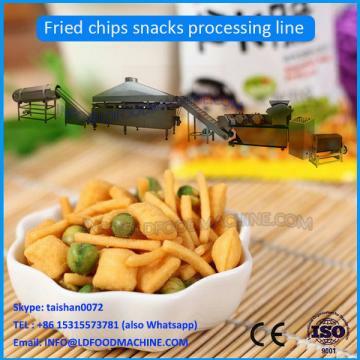 Fried Wheat Flour Snack Process Line usee double-screw extruding technique to replace the traditaional steam boiling process. It includes mixing, steaming, curing, extruding, and shaping processes, no boiler, with high efficiency and no pollution. 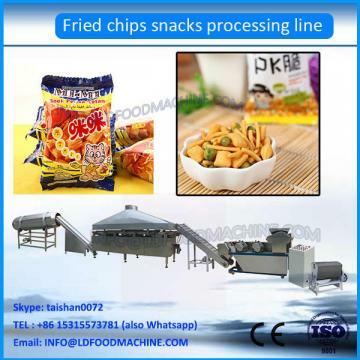 The raw material can be the rice flour, wheat flour, corn flour and their mixture. It also can make different shapes by chaing different shapes. 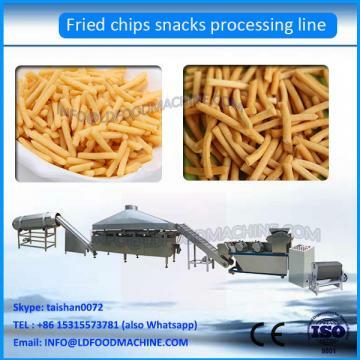 adopts potato starch, corn starch, cassava starch, wheat flour, corn flour etc as raw materials. All the machinerys are made by stainless steel, this line is with reasonable desity and with high automation; the screws are made by alloy steel, with builting block system structure and self-cleaning function.